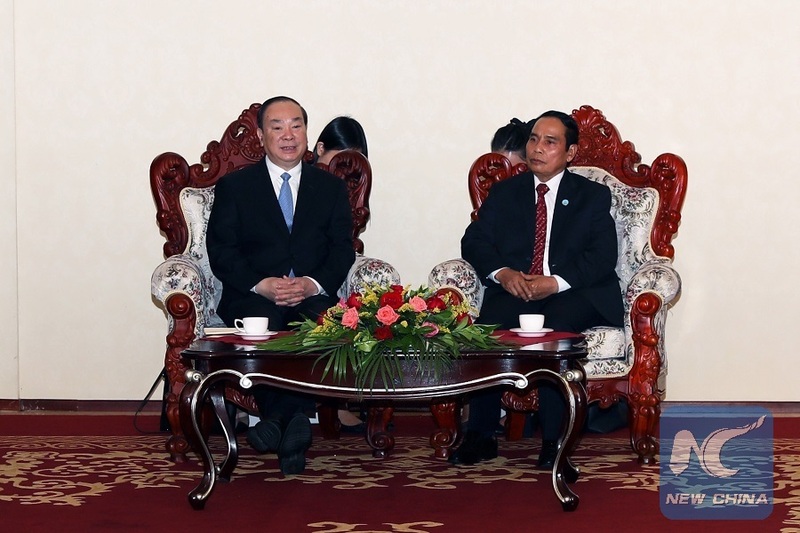 VIENTIANE, July 2 (Xinhua) -- China will continue to closely coordinate with Laos to further deepen the bilateral comprehensive strategic partnership of cooperation, a Chinese senior official said on Monday. 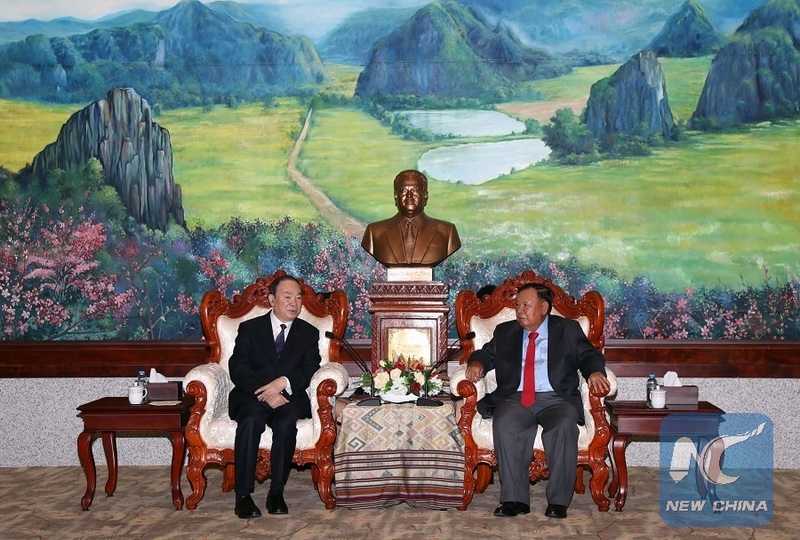 Huang Kunming, member of the Political Bureau of the Communist Party of China (CPC) Central Committee and head of the Publicity Department of the CPC Central Committee, made the remarks when he met with Bounnhang Vorachit, general secretary of the Lao People's Revolutionary Party (LPRP) Central Committee and president of Laos. Huang, who is on a visit to Laos, said China and Laos not only share similar ideals and beliefs, similar paths of development, but also enjoy shared future and destiny, noting that China and Laos are a community of shared future with strategic significance. With the care of and promotion from leaders of the two countries, the contents of China-Laos community of shared future has been continuously enriched, its foundation consolidated and its vitality strengthened, Huang noted. China will continue to closely coordinate with the Laotian side to further deepen the bilateral comprehensive strategic partnership of cooperation featuring mutual trust, mutual support and mutual benefits, said Huang. Bounnhang spoke highly of the great achievements China has made since it launched reform and opening-up 40 years ago, especially since the 18th CPC National Congress. The current Laos-China relations are at their best in history, he said, hoping to strengthen the bilateral traditional friendship, step up exchanges in governance and enhance across-the-board practical cooperation so as to jointly forge an unbreakable community of shared future. During Huang's visit to Laos, he also met with Bounthong Chitmany, president of LPRP Central Committee's Commission for Inspection and deputy prime minister of Laos, and held talks with Kikeo Khaykhamphithoune, member of Secretariat of LPRP Central Committee and head of the LPRP Central Committee's Publicity Department. Huang also attended the seventh theory seminar between the two parties as well as the 2018 Mekong-Lancang Cooperation media summit, and delivered speeches.